Designed to help encourage and praise your child. 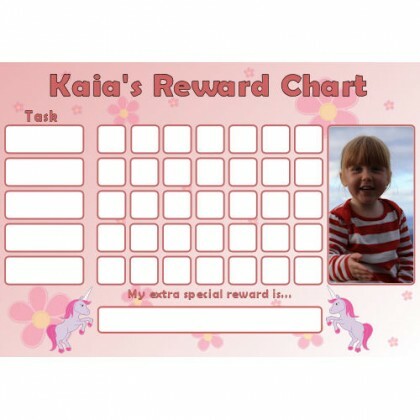 Reward charts are recommended by many leading child behaviour experts and national health bodies as a recognised way to help encourage and praise good behaviour in children, assisting them to achieve key milestones, and be recognised for their accomplishments. Encased in a plastic glossy laminate. These charts can be used in conjunction with a Dry wipe marker pen and Reward Chart Stickers which can be peeled off, allowing the chart to be reused over and over.